It's a national "holey day" that might derail bathing suit season. Krispy Kreme is giving away free doughnuts of any variety with no purchase necessary. Customers who purchase a beverage at Dunkin' Donuts, meanwhile, will get a free doughnut. Kansas City-based LaMar's Donuts will give away a free doughnut to each guest with no purchase necessary. LaMar's 27 stores across six states are also donating a portion of their sales to The Salvation Army Oklahoma Relief fund. Tim Hortons Cafe & Bake Shop, the Canadian chain with over 600 locations in the U.S., is offering Facebook fans who "Like" their U.S. Facebook page a coupon for a free doughnut with any purchase. For those who live in California's Bay Area, Psycho Donuts will celebrate the day with doughnut balls filled with foie gras. 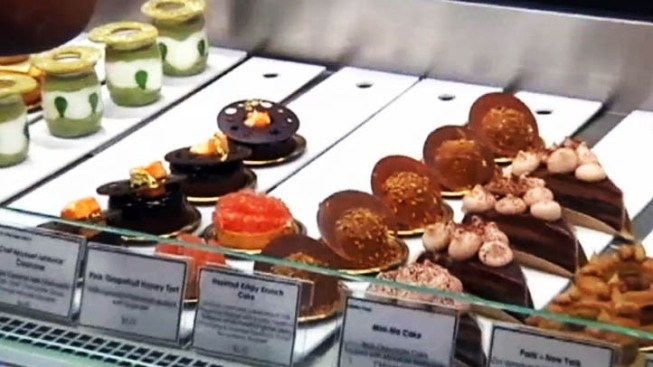 And New Yorkers can take advantage of Dominique Ansel's cronut, a half doughnut, half croissant concoction that has people forking over $40 for a taste on the black market. Not to worry though. The treat costs a mere $5 at Ansel's bakery in SoHo if you're willing to stand in line for one.